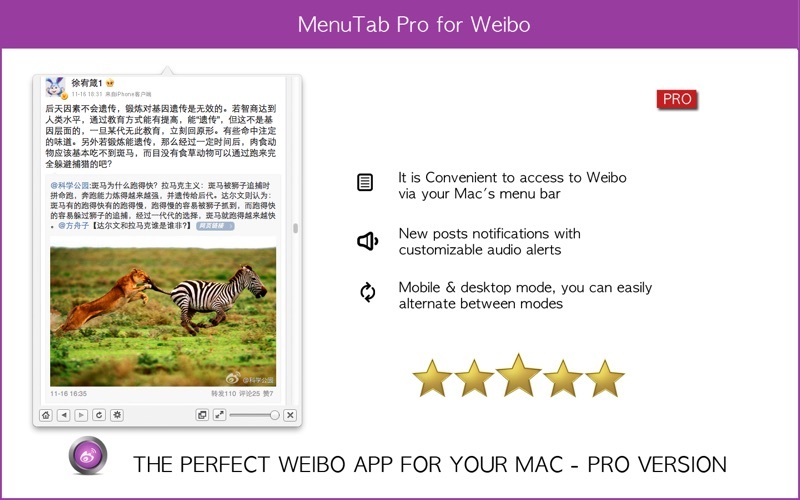 THE PERFECT WEIBO APP FOR YOUR MAC - PRO VERSION! 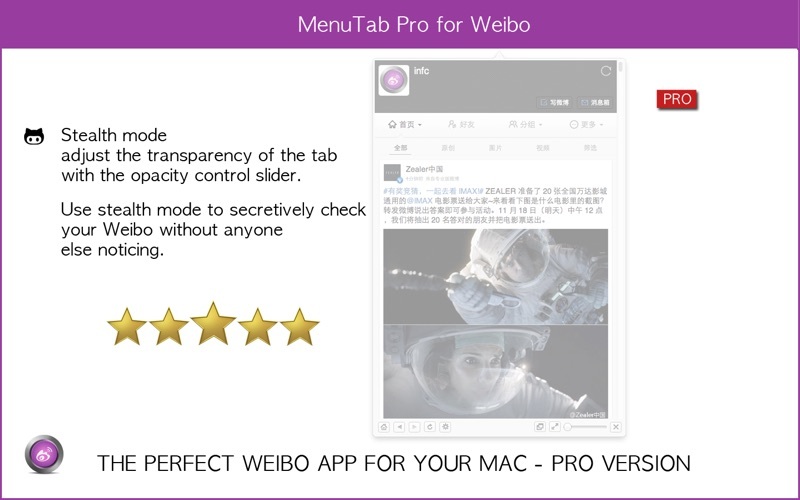 PinTab Pro for Weibo is new way to access your Weibo. Doesn't have enough space for a menubar app? Not a problem. 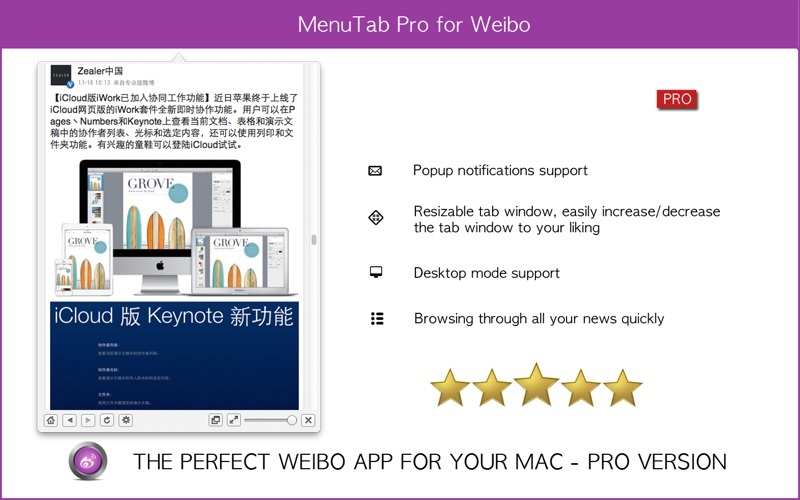 We introduce PinTab Pro for Weibo that will stick on edges of your screen. 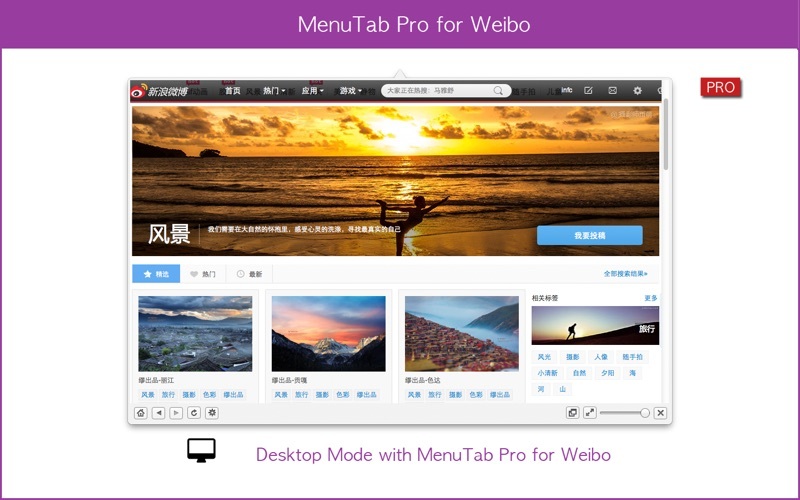 Access your Weibo with "1 click" from your menu bar，red icon in menu bar, Desktop mode with attachments, Popup notifications, Stealth mode, Full screen support and much more! Access your Weibo with "1 click" from your menu bar or you can via its customizable hot key (Command + G). 9.You'll soon be able to discover new posts when you receive new posts software icon is colored.